Everyone knew that Batman V Superman was going to be a darker movie. DC's plan moving forward is to make their universe more serious and dark than their rival Marvel. What surprised me about the trailer is the sheer depth of that seriousness. The major theme of the first trailer is what is Superman? A Judeo-Christian Savior or a Nietzeche Ubermensch or something else? That is a pretty major haymaker to drop on people that mixes philosophy with religion. 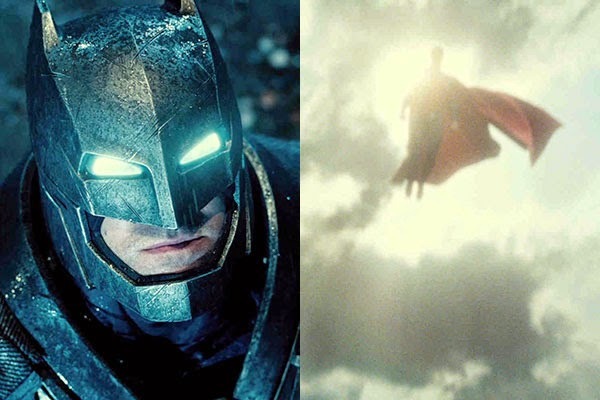 See the first Dawn of Justice Trailer and Pictures! Going deep into the philosophical well is not unheard of for a film. The Matrix did it famously and very well. The first Matrix movie took a single philosophical concept "Skepitism" and built a movie around it. However, it should also be noted that Matrix sequels became muddled with so many encoded symbols and mixed concepts that they failed to ever deliver the punch of the original. Another film whose philosophical underpinnings have been closely scrutinized is the Dark Knight. The Dark Knight however never drew these arguments out literally. The film / story had to be closely watched for them to be extracted and examined. Understanding the philosophical underpinnings was never crucial to follow the story. The philosophical argument in Dawn of Justice seems to be the very linchpin of what draws Batman and Superman into battle. The film's ability to frame this argument in a clear way is going to be crucial to deliver the film's message. What is an Übermensch and what is its connection to Superman? An Ubermensch or an Overman (Sometimes interpreted as Superman) is the perfect person in the philosophy of Friedrich Nietzeche. Nietzeche criticized the idea of a morality being based on Otherworldlyness (Heavens and Hells) and said that a true great moral philosophy would focus on only the world he is in, in Life. While a Christian ethos would say help the poor and weak to go to heaven, an Übermensch would focus on being great, achieving artistic and scientific breakthroughs. The Christian is focusing on his death, while the Ubermensch is focused on his life. Focusing on the poor and weak would simply distract the Übermensch from his potential. To Nietzeche the idea of an otherworldly God was what was holding mankind back from its true potential. To Nietzeche only when rejecting the Otherworldly ideas could we begin to rise to the potential of an Ubermensch. The Ubermensch should in Nietzeche's view rule over the other lesser people. Interestingly, Superman was initially created as a villain who was an Ubermensch. This Superman used telepathic powers in his first appearance in a story called Reign of the Superman. This character was altered and redesigned as a Judeo-Christian ideal of a Hero in Action Comics #1. Superman has thus spent his entire comic / film life as an antithesis of the philosophy that gave him his name. Superman's main antagonist Lex Luthor bares many striking similarities to the Nietchezian ideals of the Ubermensch. With this film the world seems to be arriving at two polar different views on Superman. Both views seem to come from a Judeo-Christian Western Philosophical perspective and are simply different interpretations of him. In one view he is a messiah who has come to the world to save it. In this view Superman is the Judeo Christian ideal, a powerful servant of mankind. This group seems to cultishly follow him, erect statues in his name, and serve him. The other view is that Superman sees himself as a god, someone that is over and above humanity, an Ubermensch. His existence defies both the greatness of humanity but also the tenants of otherworldly based religions. He is in this sense an anathema that is polluting religion, and needs to be brought down. Curiously, Jesus was historically viewed in both of those same two ways by his peers. Something that I doubt was a mistake. The Superman of this film is thus intended to be something like a flying modern Jesus. Batman is going to be a Pontius Pilot like figure. The man with enough to power to bring down a god. A man charged with judging him, and if need be executing him. This is a heavy a plate of ideas for a super hero movie. What do you think about it? Is this too much philosophy for a Super Hero movie or does it make the film stand out and make it more interesting?